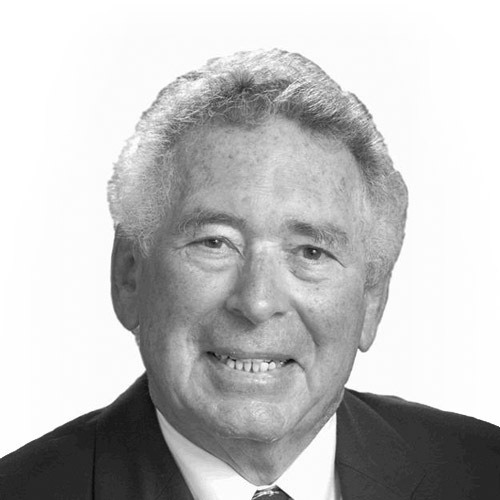 Hoke MacMillan, now retired from Pence and MacMillan, brought his wealth of legal knowledge and experience as an attorney with him. As a founder in the firm, he returned after 15 years of political appointments. He has been awarded the highest rating (AV) by Martindale-Hubbell. While attaining his undergraduate and law degrees, MacMillan was a member of Air Force and then Army ROTC. In May 1970, he was commissioned in the United States Army and named a Distinguished Military Graduate of the University’s Army ROTC Program. During his term, he wrote legal opinions for the Office of the Judge Advocate General, reviewed Army regulations for legal sufficiency, constitutionality, and proper implementation of statutory law and served on the Secretary of the Army’s Conscientious Objector Review Board for in-service conscientious objector applicants. He also wrote appellate briefs for the Government Appellate Division of the Office of the Judge Advocate General, and argued cases before the Court of Military Review and Court of Military Appeals. After being honorably discharged from the Army in 1974, MacMillan returned to Wyoming and entered the private practice of law with the firm of Pence and Millett in Laramie. MacMillan became a partner of the firm in 1974, and senior partner in 1980. During his years in private practice, MacMillan was very active in the Wyoming State Bar, eventually serving as president. In 2001, MacMillan was appointed to serve as the 32nd Attorney General of the State of Wyoming. As Attorney General, MacMillan was responsible for overseeing the Division of Criminal Investigation, Law Enforcement Academy, Division of Victim’s Services, Consumer Protection Unit, Medicaid Fraud Unit, Developmental Disabilities Council, and the law office. Following 9/11, Governor Geringer appointed him as Chairman of the Wyoming Counter Terrorism Commission, and in that capacity, MacMillan worked to ensure Wyoming’s readiness to combat terrorism. In addition to his duties as Attorney General and as chairman of the Wyoming Counter Terrorism Commission, MacMillan served as chairman of the Wyoming Drug Court Panel, a member of the Wyoming Law Enforcement Academy Advisory Board, a member of the Governor’s DOVE (Domestic Violence Elimination) Council, and as a member of the Wyoming Planning Council on Developmental Disabilities. In 2003, after completing his term as Wyoming Attorney General, MacMillan accepted a political appointment in the Department of the Interior in the Bush/Cheney administration. While working for the Department of the Interior, MacMillan represented various agencies of the Department, including the Bureau of Land Management, the Bureau of Reclamation, the Bureau of Indian Affairs, the U.S. Geological Survey, the Minerals Management Service, the U.S. Fish and Wildlife Service, and the National Park Service. MacMillan retired from the Department of the Interior on June 1, 2016.